Wrong way accidents occur when one vehicle is driving along the highway in the opposite direction and collides head-on with another vehicle driving the right direction. These kind of accidents look simple but this causes one of the most catastrophic injuries, or even death. This is probably why it was considered one of the most dangerous type of vehicular accident. According to the data compiled by the National Highway Traffic Safety Administration of the country’s Department of Transportation, the people killed by vehicular accidents has decreased by nearly 25 percent. However, rate of deaths due to wrong-way accidents has been consistently the same despite that decline. WHAT ARE THE MOST COMMON CAUSES OF WRONG-WAY ACCIDENTS? There are 3 most common causes of wrong-way accidents and these are also causes of some other type of vehicular accidents. Drunk Driving. This is one of the most common causes of wrong way accidents. Driving under the influence (DUI) of alcohol or any illegal substances has been a perennial problem in Nashville. Law has been strictly implemented to prohibit drunk driving, but a considerable number of drunk drivers are still reported to be the cause of wrong-way accidents. Distracted Driver. Texting while driving is one of the common distractions for a driver on the road. Drivers that are not disciplined enough and are too insensitive not to think about the outcome of texting while driving. There are also other distractions like making and taking a call while on the road, sending emails on smartphones, and picking up child’s toys while driving. Poor Signage or Confusing Roadways. Poor signage and confusing roadways are also reasons for wrong-way accidents. Especially, drivers that are over the age of 70. There were reports that common age of drivers that were involved in wrong way accidents because of poor signage and confusing roadways are over the age of 70 and which had happened at night. 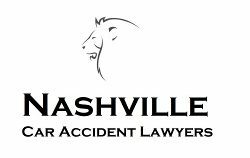 Whenever you find yourself or any family member in a wrong way accident, a Nashville wrong way accident lawyer could come in handy. They could help you in seeking compensation for the injuries caused by the accident. Having severe injuries could sometimes mean long stays at the hospital which in turn can incur high medical bills. This will not only affect you physically but also emotionally and psychologically, this is why you need a competent Nashville Lawyer that could assist you in filing claim over the at-fault driver’s insurance or better yet, file a civil suit so you can get the damages you rightfully deserve.